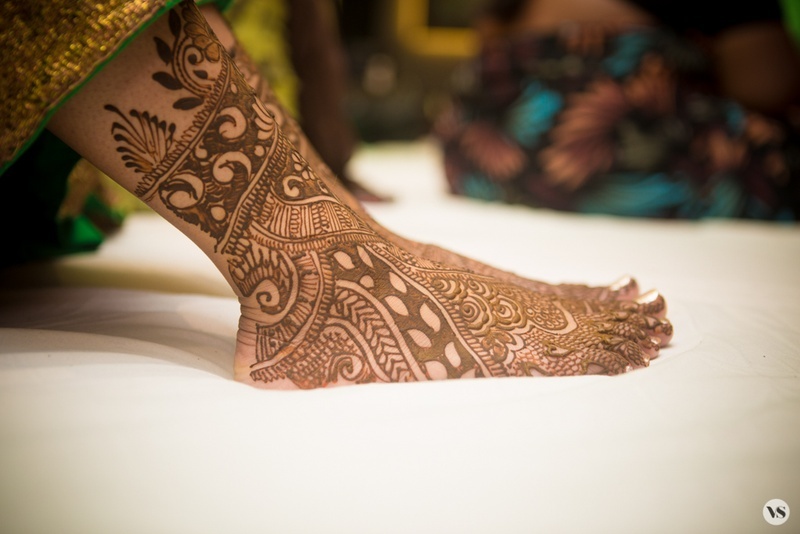 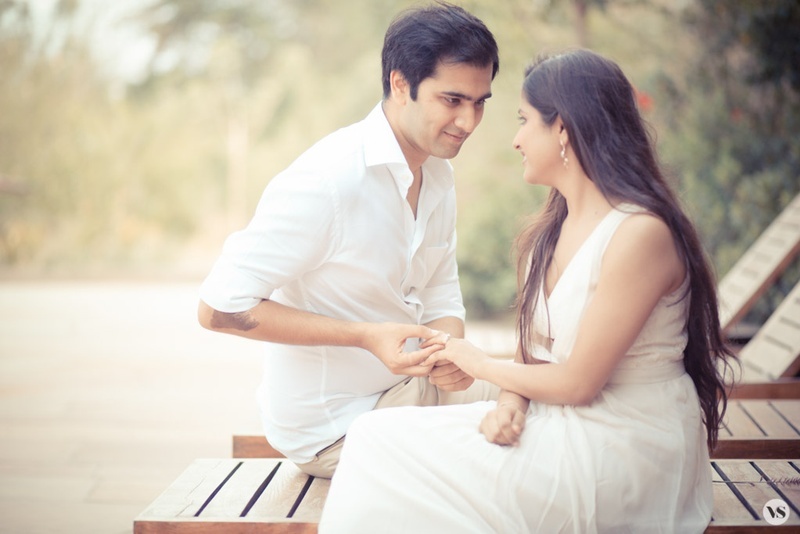 Indian arranged marriages sometimes result in a magical love like Amber and Atipriya’s. 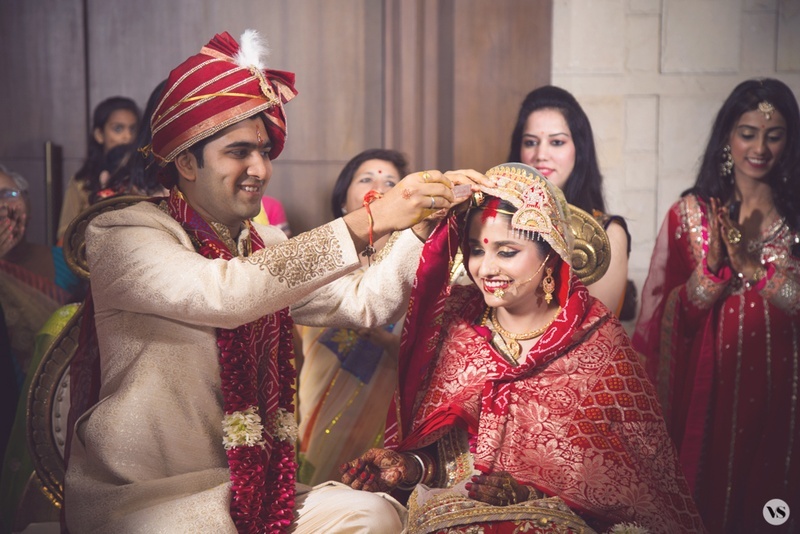 Within a span of a few days and text messages shared at 4:30am, both their hearts knew they were making the right decision. 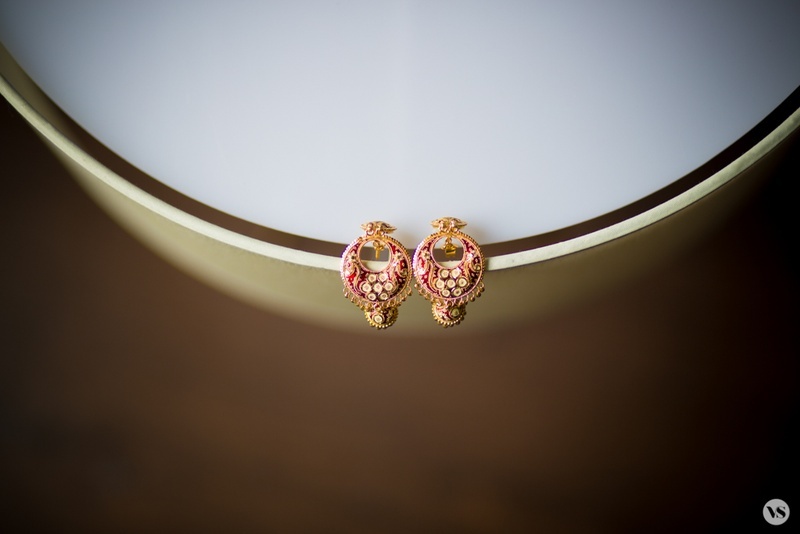 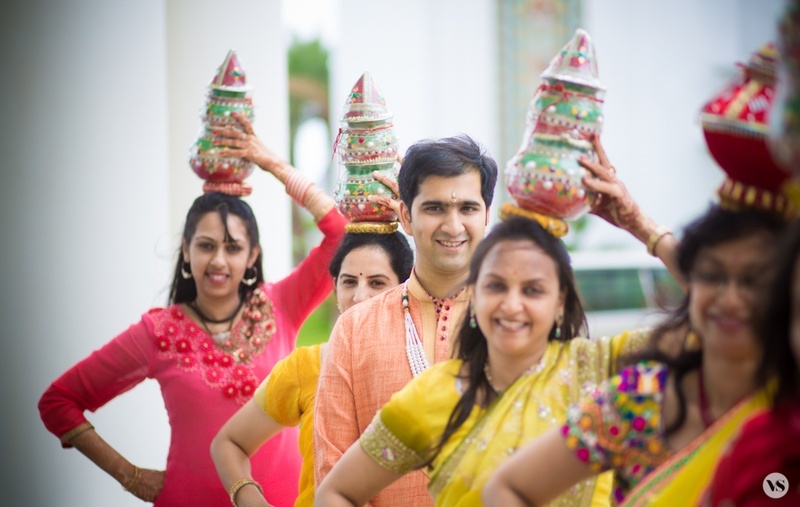 Once their parents saw both their heads nodding yes – there began the Big Fat Indian Wedding planning process! 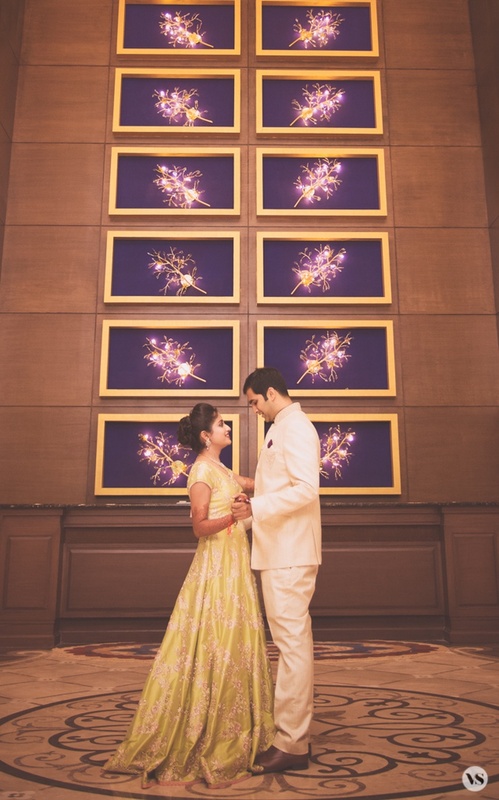 From décor to flowers, venue and photographer too – each detail being planned within a span of four months with such perfection, each picture captured by Vivek Samiya Photography is proof! 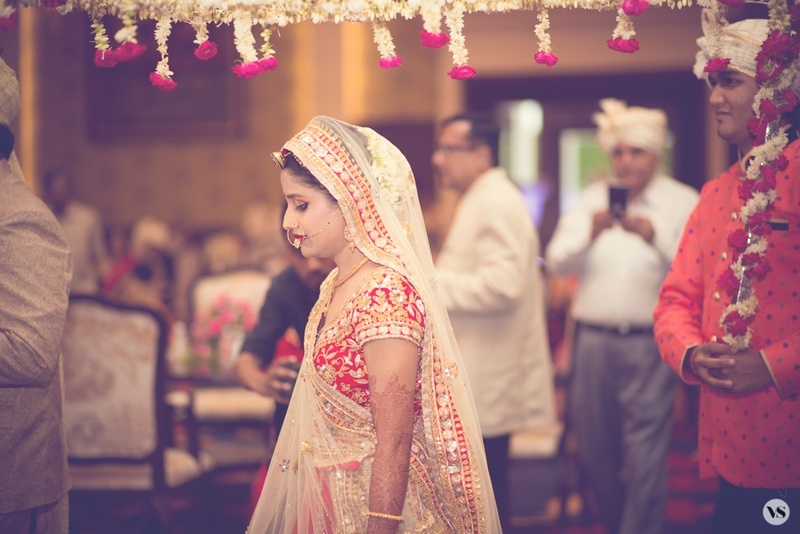 Celebrations began with the mehndi ceremony where this beautiful bride donned a green leheriya lehenga from Jaipur with delicate floral jewellery which perfectly matched her entire outfit. 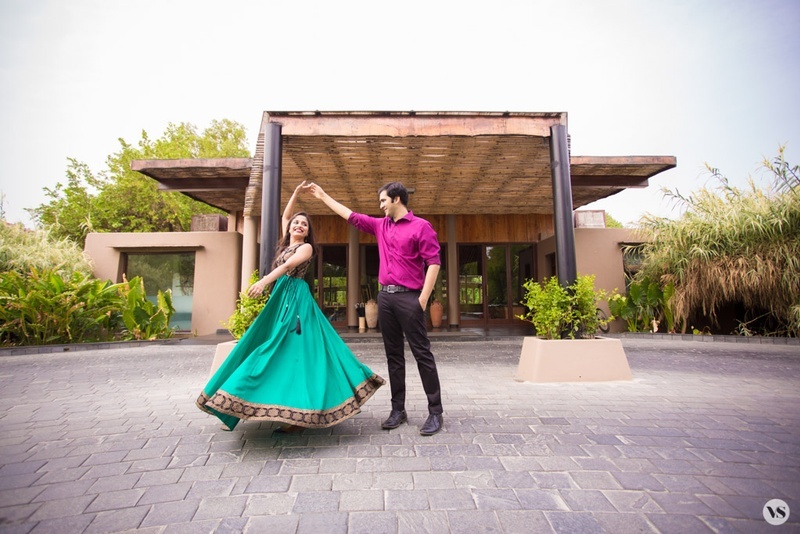 A beautifully flared green and silver embroidered gown from Benzer proved to be an ideal choice for their indoor sangeet ceremony. 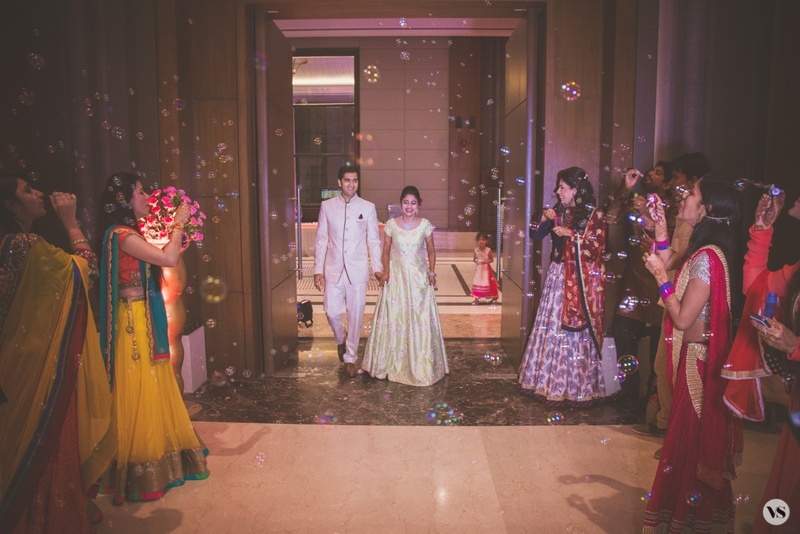 Lots of dancing, lots of love and lots of bubbles too (an idea you definitely want to steal for your wedding!) 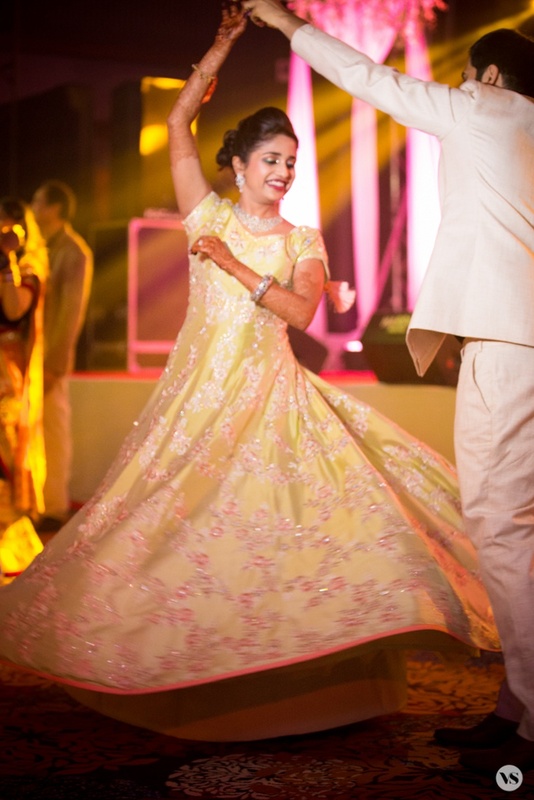 The low back on this sangeet gown was definitely our favourite element! 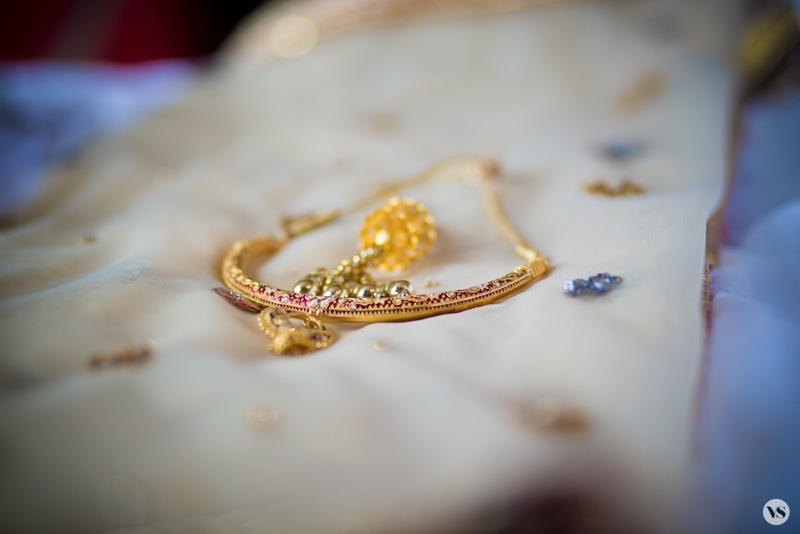 Atipriya looked like the quintessential Indian bride in a red and gold gota patti lehenga with minimal jewellery – This bride drew a perfect balance with a simple meenakari and gold necklace and borla maangtikka! 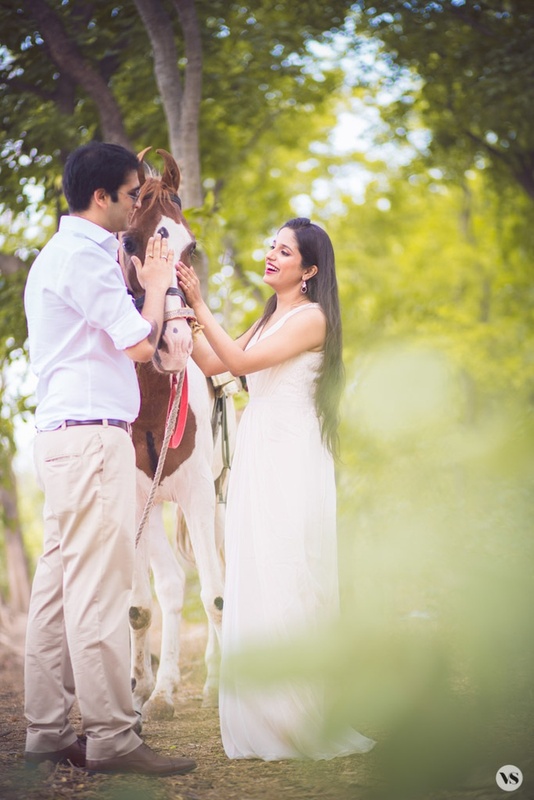 What you should look out for as you scroll through this wedding – the bride’s flawless makeup by Lemon The Salon, owned by Dilip Sen and Seema Sen, Indore, those candid moments captured by Vivek Samiya Photography and the aww-worthy pre-wedding photoshoot! 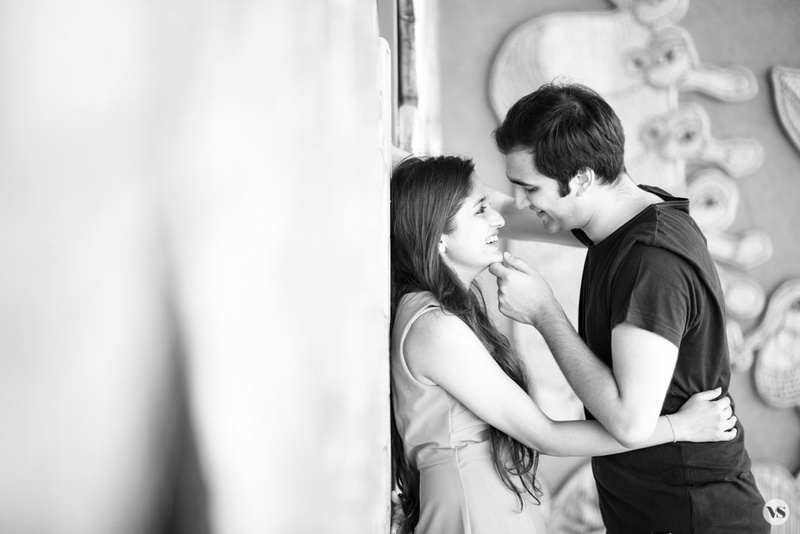 Pre wedding couple photography by Vivek Samaiya Photography. 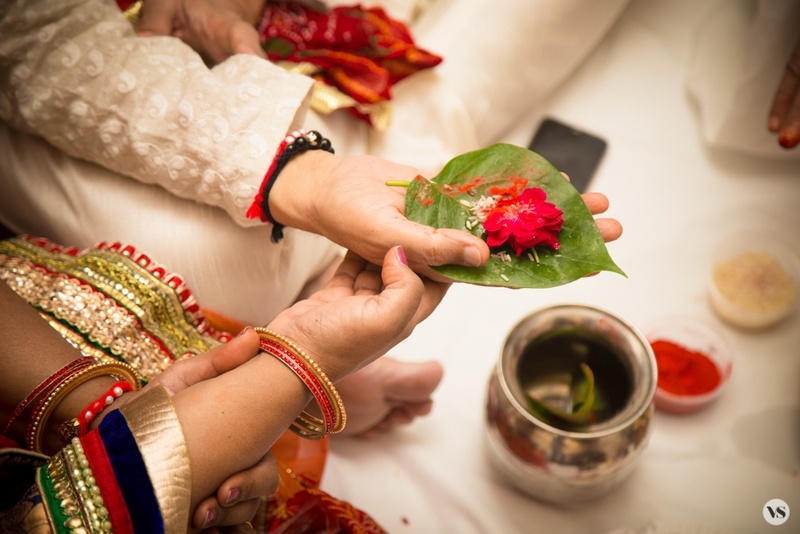 Ganesh Puja happening before wedding. 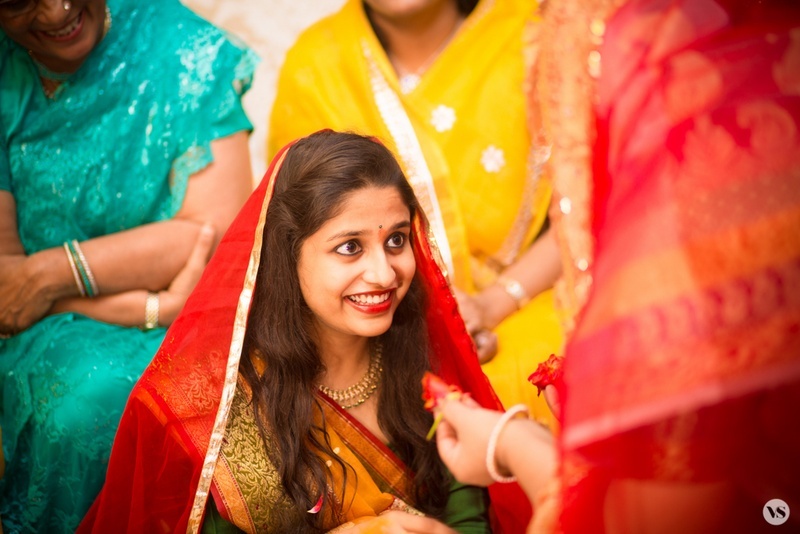 Bride wearing yellow color chanderi saree for the ganesh puja. 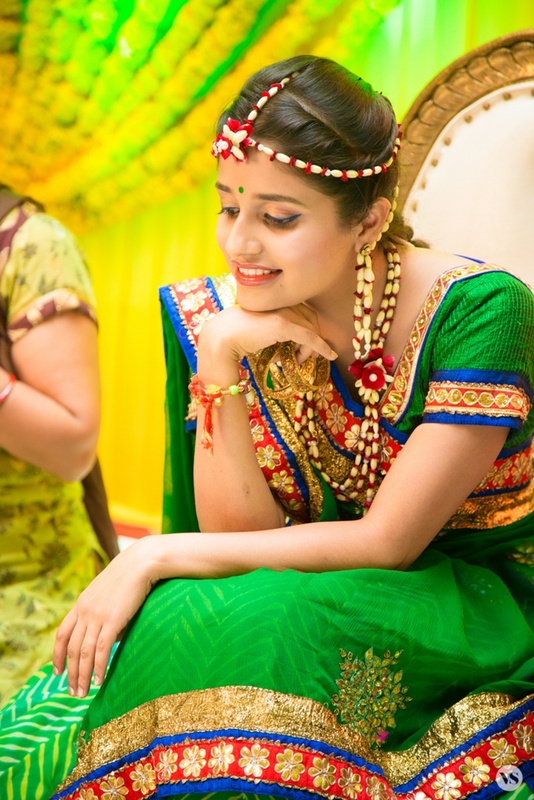 Our very pretty bride wearing green color leheriya lehenga styled with minimal makeup and floral jewellery for the mehendi ceremony. 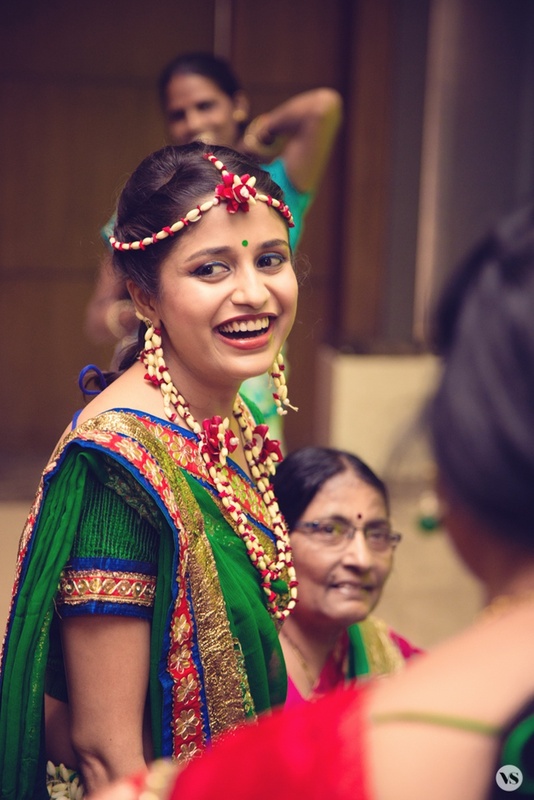 Our very pretty bride wearing green color leheriya lehenga styled with minimal makeup and floral jewellery for the mehendi ceremony held at The grand Bhagwati, Indore. 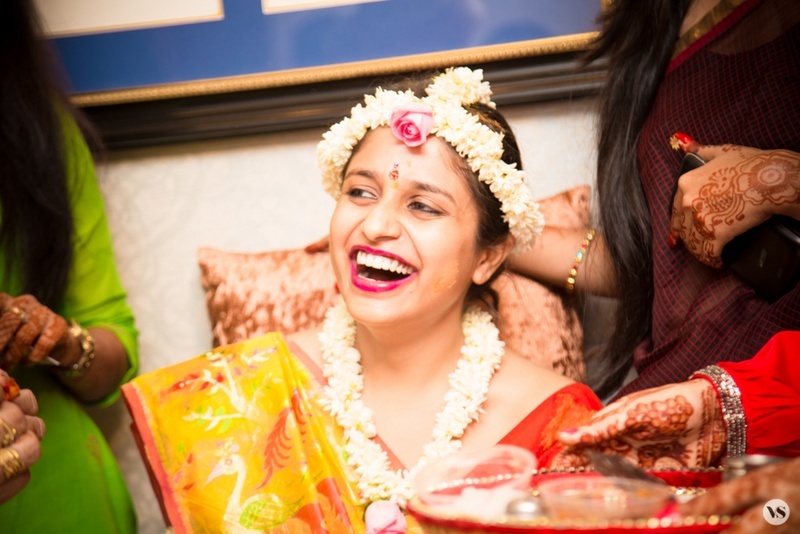 The happy bride looking pretty for her haldi ceremony. 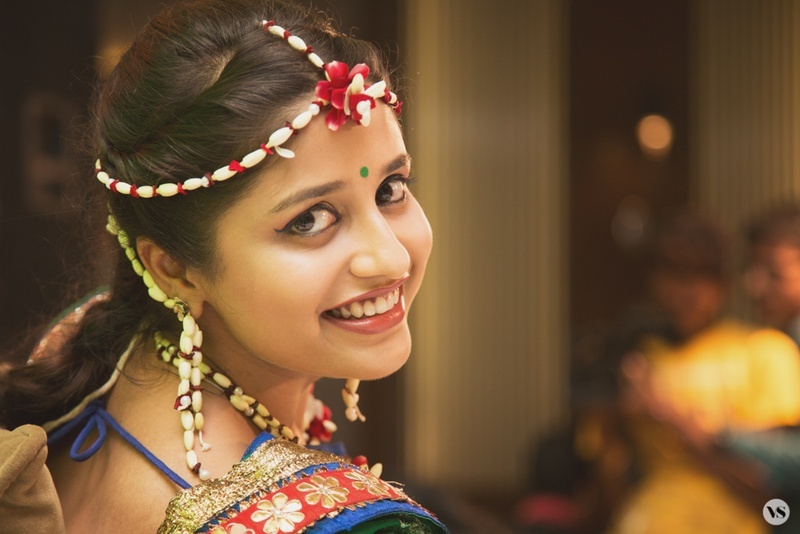 Bride wearing yellow saree styled with floral jewellery for her haldi ceremony. 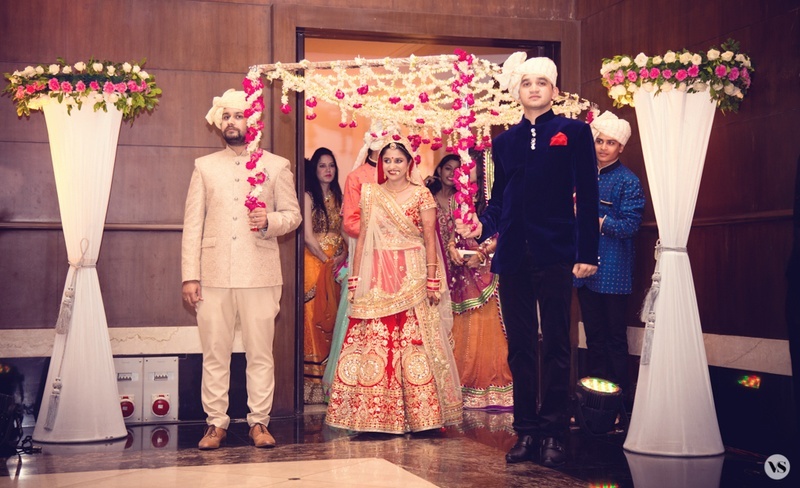 Bride and Groom entering The venue for their Sangeet ceremony. 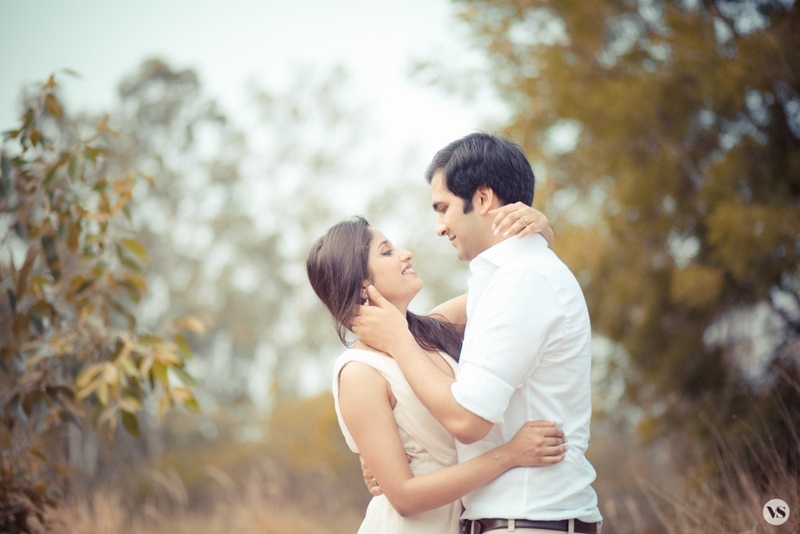 Couple photography by Vivek Samaiya photography. 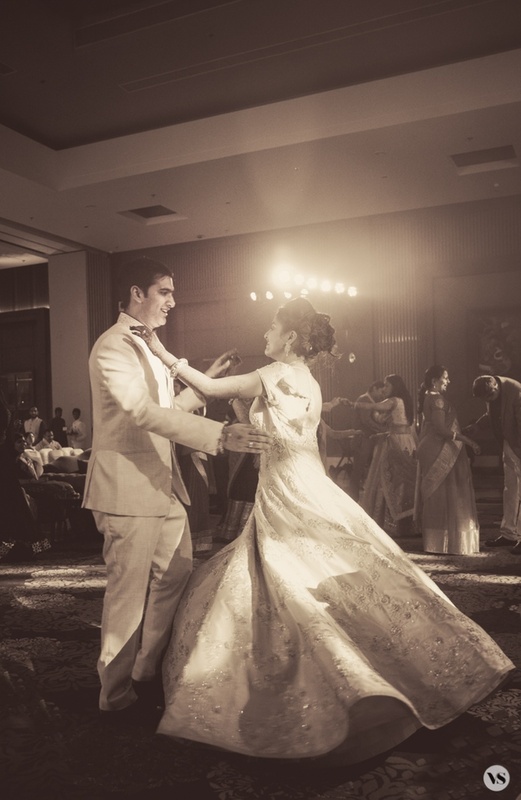 Bride and Groom dancing beautiful to the music of their love. 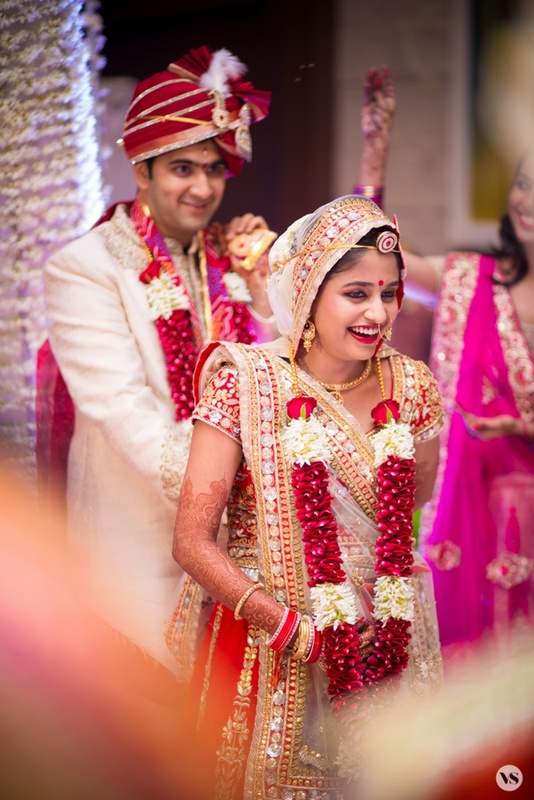 Beautiful umbrella gown embellished with silver embroidery by Benzer. 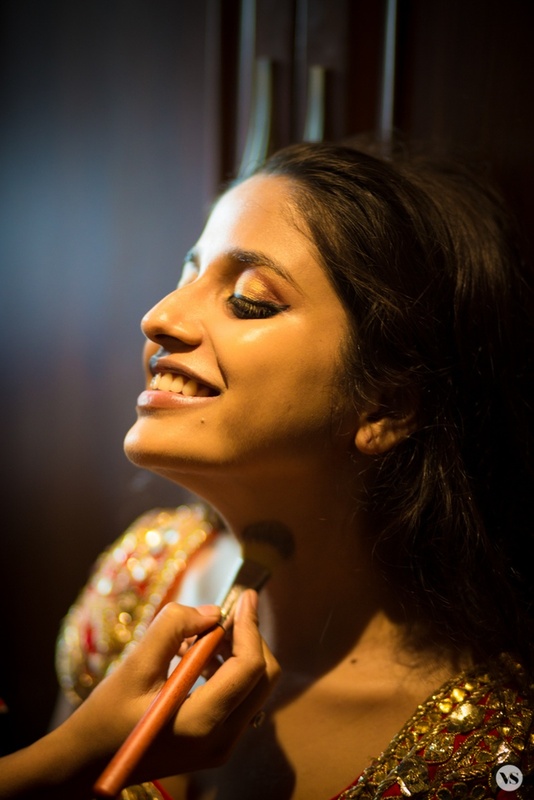 Bridal makeup by Lenon beauty , Heema. 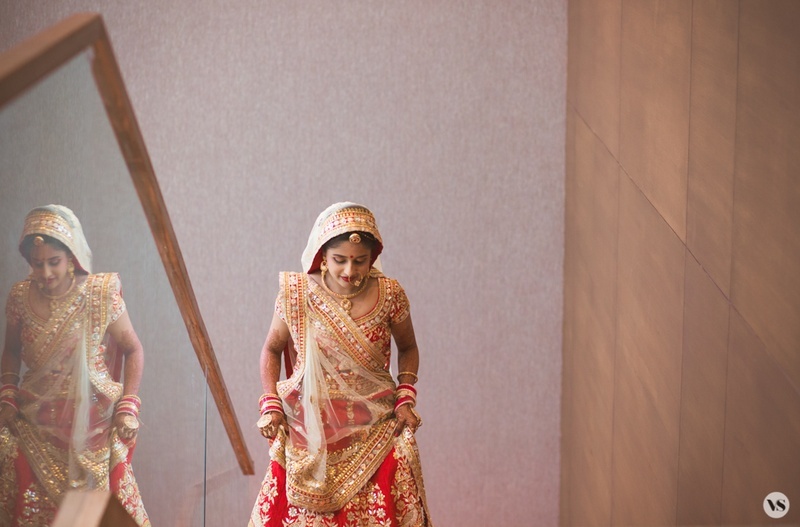 Candid bride walking to her wedding venue! 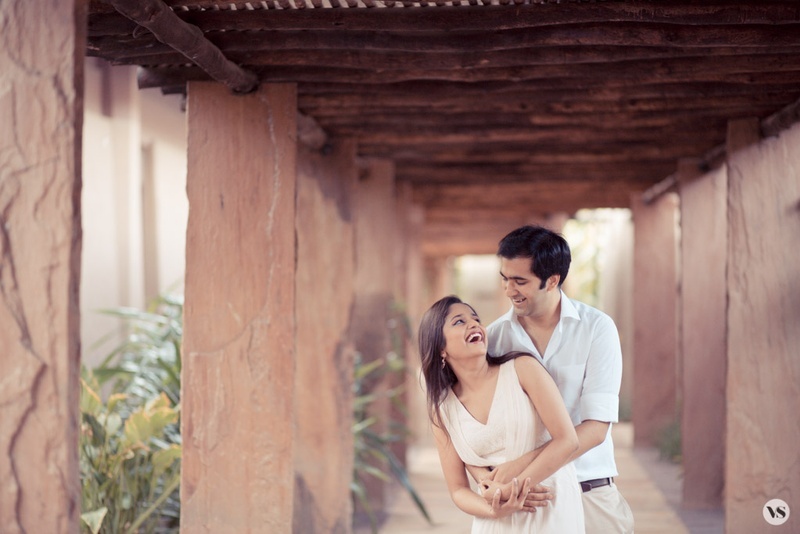 Candid photography inspiration. 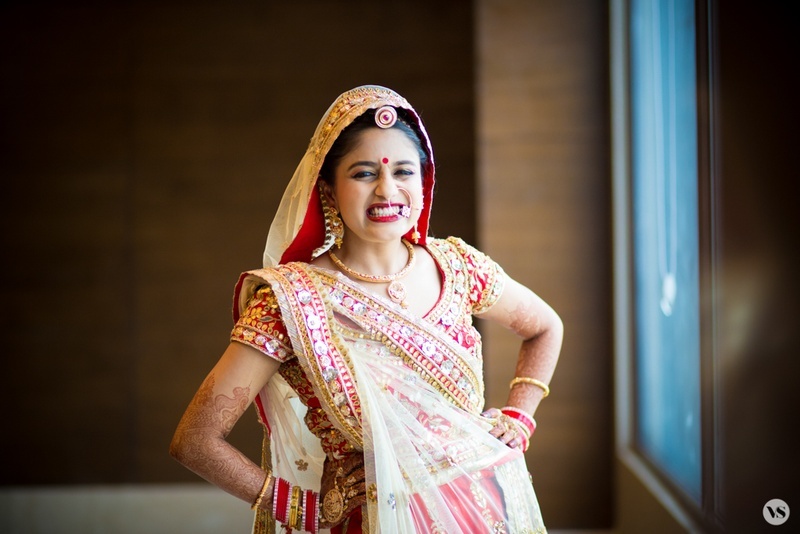 Bride wearing a cream and red combination gota patti Lehenga, with a candid grin! 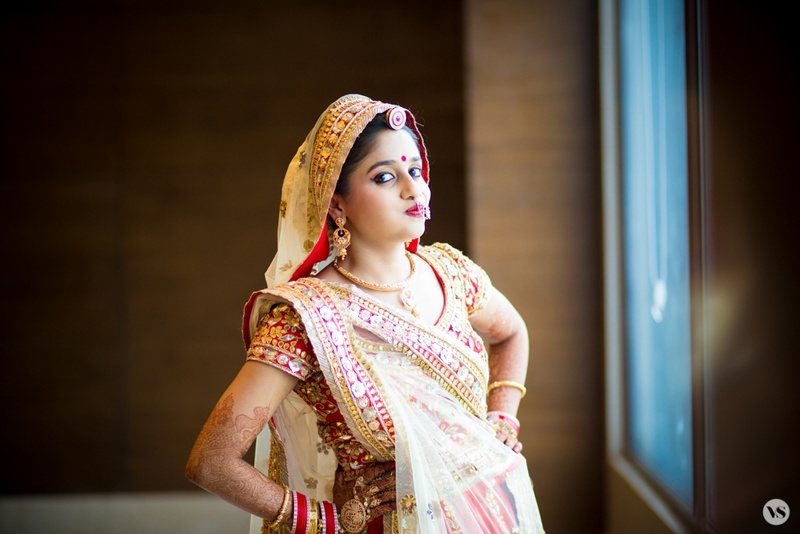 Bride with a Pout wearing blood red and white gota patti lehenga styled with minimal Meenakari Jewellery. 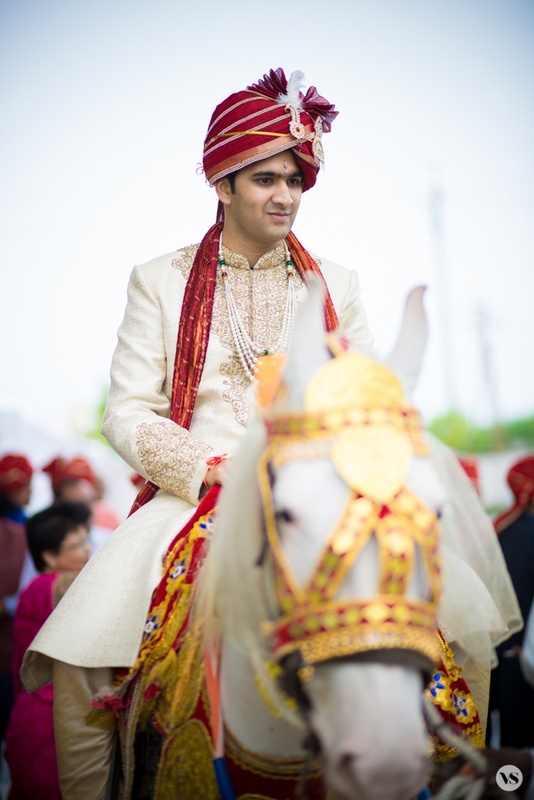 Groom on Ghodi, looking handsome in white Sherwani with a red turban and pearl multi string neck piece. 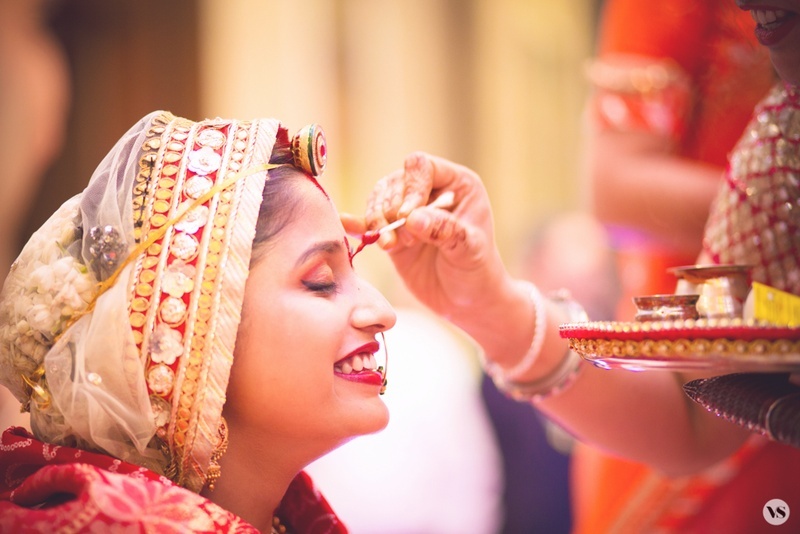 Pretty bride getting tikka for the wedding ceremony.